Here is the latest Immigration news from CIC Canada. - We @ OM International are very positive for aspirants of Canada Immigration VISA. 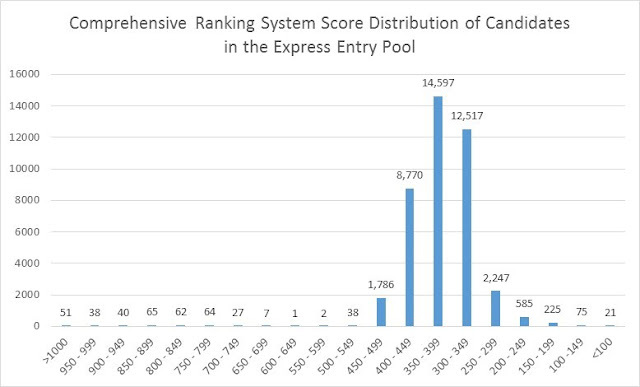 See all Charts and Mid year Analysis to understand the complete Canada Express Entry System so far. CEC - Canadian Experience Class VISA. 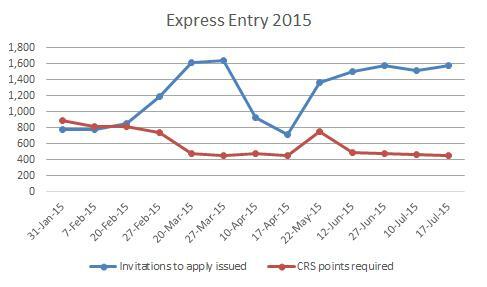 Canada VISA - Express Entry report since implementation. This news has been warmly welcomed by candidates in the pool who applied for Canada PR Visa, as it reveals a commitment on CIC’s part to increase the number of invitations to apply issued in the not too distant future. · The pool is growing by about 1,500 persons/profiles per week. 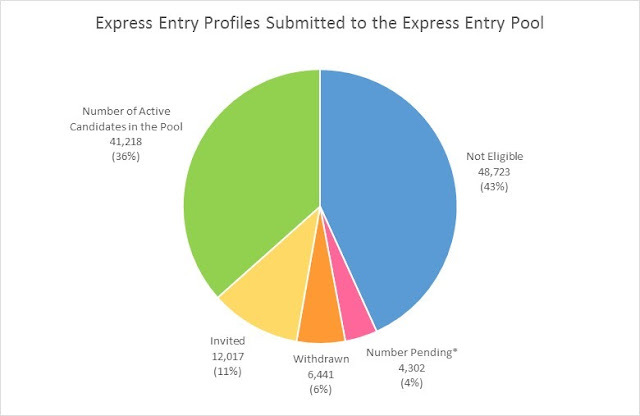 · The number of profiles completed was 112,701, with 48,723 of these not being eligible. The size of the pool is expected to remain large. 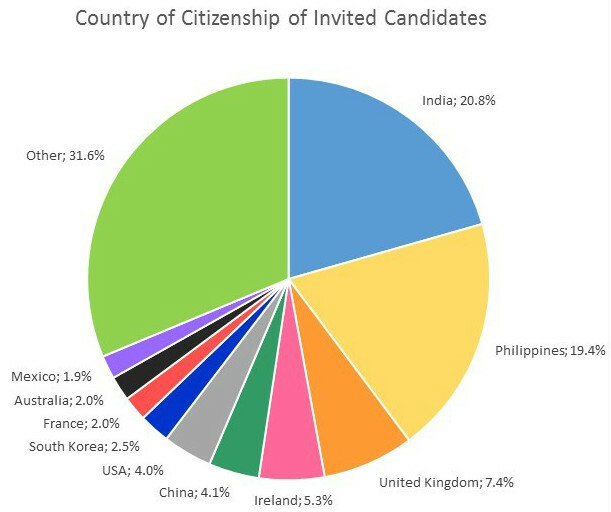 · The most dominant countries of citizenship of invited candidates are India and the Philippines, each of which supplied around one-fifth of those invited to apply. 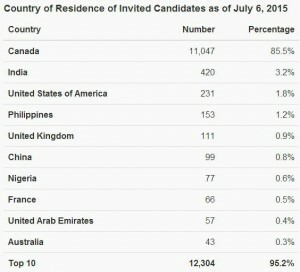 Through the graph below we can understand that Indian are in the majority who apply for Permanent Residency after Philippines. OM International can also help you out with references of clients who are already living in Canada and provide all sorts of assistance after landing. 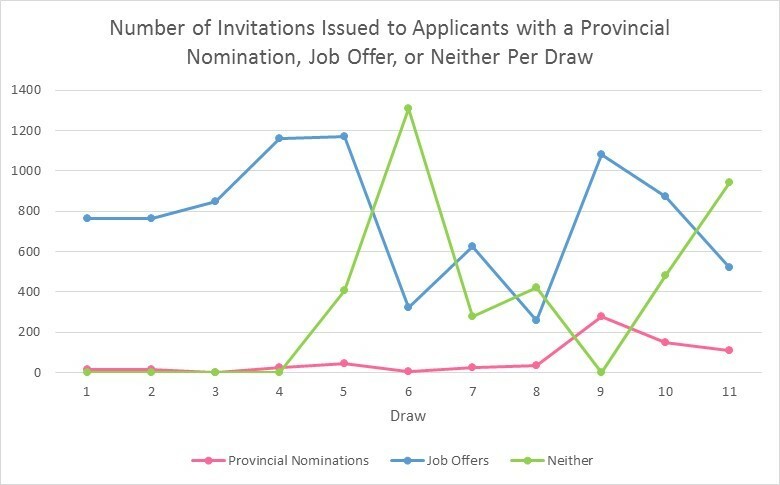 · Through the first 11 draws, 29.4% of those invited to apply did not have a qualifying job offer or enhanced provincial nomination certificate. · 65% had a qualifying job offer. · 5.4% had an enhanced provincial nomination certificate. · Discounting the first four draws, however — in which only applicants with a CRS score above 600 were invited to apply — 41% of those invited to apply did not have a qualifying job offer or an enhanced provincial nomination certificate. · A majority of candidates selected in the sixth (March 27), eighth (April 17) and eleventh (June 27) draws had neither a qualifying job offer nor a provincial nomination certificate. 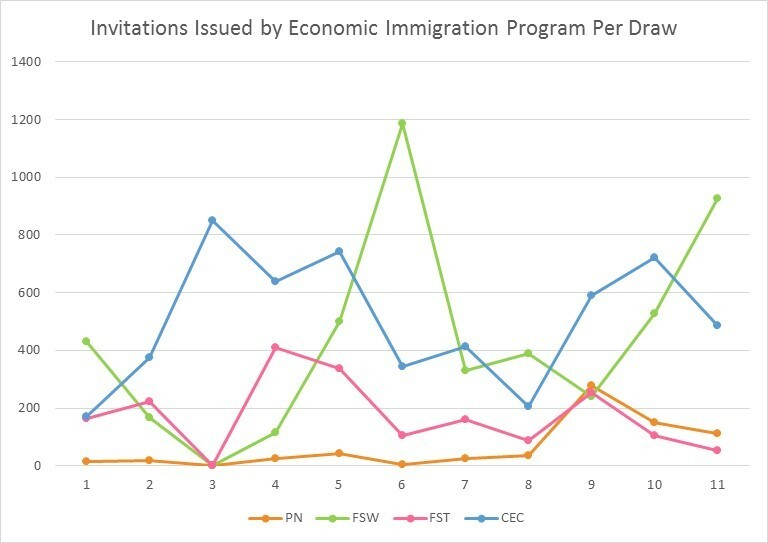 · A total of 5,534 of the overall 12,928 invitations to apply issued had been to candidates under the Canadian Experience Class (CEC), with Federal Skilled Workers (FSW, 4,809), Federal Skilled Trades (FST, 1,887) and Provincial Nominees (PN, 698) following. Though provincial nominees have provided the fewest invitees so far, the number of candidates being invited to apply having obtained an enhanced provincial nomination certificate has increased over the most recent draws. This is likely because certain provinces have had the time to assess applications submitted earlier this year. OM International provides help with all the classes of visas including CEC, FSW, FSTW and PNP Visas. · This is the fourth draw in succession in which the number of CRS points required has decreased. · It is also the fourth draw in a row in which candidates without a qualifying job offer from a Canadian employer or an enhanced provincial nomination certificate have been invited to apply. · In addition, it is the fourth draw in succession in which more than 1,500 invitations to apply were issued. · The latest draws have allowed certain candidates who may not have been awarded a large number of points for age — or who may not have extensive post-secondary education or highly advanced language proficiency in English or French — to receive an invitation to apply. Increase your chances of getting a permanent residency in Canada come and speak to our staff at OM International and get free on the spot evaluation for Canadian Immigrant PR VISA. At OM International we are very professional and ready to help you out in every possible way to make your dream come true. more information on draws from the Express Entry pool that have taken place so far.